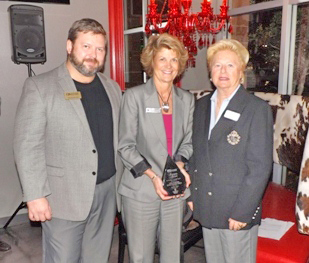 SARASOTA, FL (January 2013) – The Greater Sarasota Chamber of Commerce has presented Linda Starcher of RE/MAX Alliance Group with the Insignia Award for the month of January 2013. This award recognizes the achievement of quality customer service and commitment to the community. Linda Starcher began her career with the Michigan Civil Service, starting as a typist and advancing to branch manager in 10 short years. Once at the top, she had a burning desire to have her own business and utilize all the clerical, management skills and experience she had acquired. Linda was involved at that time with building and developing condominiums & single family homes. She participated in acquisitions, zoning, roads, approval of condominium documents, water, sewer, model center sales and troubleshooting before and after the sale. It was a natural transition to acquire her real estate license. Her involvement in the construction business brought in-depth understanding that she still uses to this day. Linda strongly believes in giving back, and continually holds leadership roles in her community. This community participation has given her insight as to what is available for newcomers needing to “get connected” in their new surroundings. Ask her who you need to meet, where you need to go, or what organization needs your help and she is quick to give suggestions or introductions. The Insignia Bank and is proud to be the sponsor of the Insignia Award.